Buncrana’s Castle Bridge, which is 300 years old this year, is in danger of falling down. One of its piers sustained structural damage in the Flood of 22 August 2017, and that damage has worsened over the past five months. Concerned locals say the pier needs urgent remedial work to prevent the three centuries old bridge from falling down. 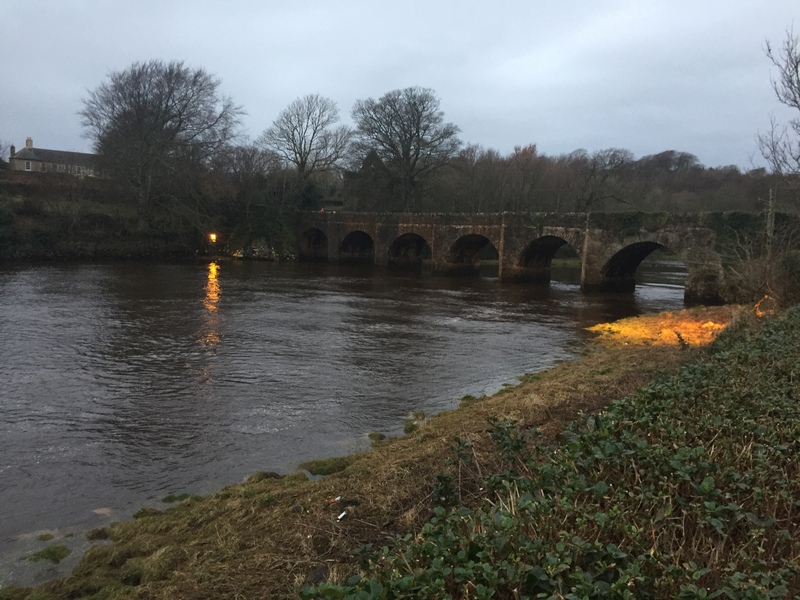 John Deery, a Fáilte Ireland approved tour guide who is also PRO to the local West Inishowen History and Heritage Society, says the Office of Public Works needs to act urgently to preserve this iconic six arch bridge. “Whatever damage is done to Swan Park is done – and it needs to be repaired, of course, because it’s been a terrible loss to the town,” Mr Deery said. “But if that arch on Castle Bridge falls then we’ll be in real trouble. “Hundreds of people use it every day as part of the coastal walk to Ned’s Point and beyond. The base of one of the piers sustained damage in last August’s flood, with part of the masonry swept away. The flow of water in the Crana River has dislodged more masonry in the months since, and cracks are appearing further up the structure.